When Jesus told the disciples that He was about to go away, they were very sorrowful. I know that when I have traveled in the past, I was sorrowful about leaving my family behind, but my joy remained because I knew, God willing, I would see them again. Jesus was trying to convince the disciples that their sorrow would fade because they would see Him again (John 16:16), which would be after His resurrection. When they did see Him again, they were, in fact, full of joy (John 20:20). We have never seen the risen Christ, but Jesus promises to return again and take us where He is, so we can have joy in that fact. Jesus said that He would go and prepare a place for us and that He will take us to Himself so that we can be where He is (John 14:3). Isn’t that a joyful message? How can we allow any circumstance or any people to ever rob us of that joy!? Paul had every reason to feel afflicted, but he commanded the church at Philippi to rejoice, not once but twice (Phil. 4:4). Many have called the Book of Philippians the Joy Epistle because he was so full of joy about this church. This might have been his favorite church just because they caused him to rejoice so much (Phil. 4:10). The word “rejoice” is like having joy and then reloading it or having your joy be redone, thus the word “re-joice.” The Greek word for rejoice is “chairō,” and it’s a verb–that is, it’s what you do–and it means “to be exceedingly glad.” Don’t let anyone rob you of your joy because the joy that God gives you is permanent and shouldn’t depend on how you feel but what God says! Paul wanted them to complete or fill up his joy (Phil 2:2) and to pray in this joy (Phil. 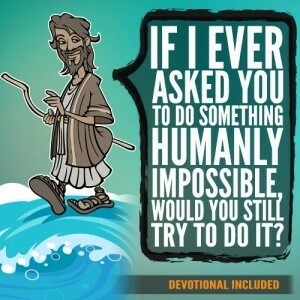 1:4) because there is joy in having saving faith (Phil. 1:25). Psalm 16:8-11 tells us that if we always have the Lord set before us intentionally (cause), our whole being will rejoice (effect) and that being in His presence makes the fullness of our joy complete. That joy of the Lord is really the strength of the Christian to endure the daily beatdown of the world (Neh. 8:10). The point is that joy gives us strength to endure our present circumstances, for nothing can compare with the glory that’s coming someday (Rom. 8:18). No wonder the psalmist told us to make a joyful noise to the Lord (Psalm 100:1). Last Sunday, one man came to worship service so full of joy, he shouted it to the Lord, and I loved it because we ought to come to the altar of our Lord with “exceeding joy” and praise Him in this joy (Psalm 43:4). Jesus spoke His final words before the cross in order that the disciples’ joy would be full or fulfilled in Him (John 15:11). 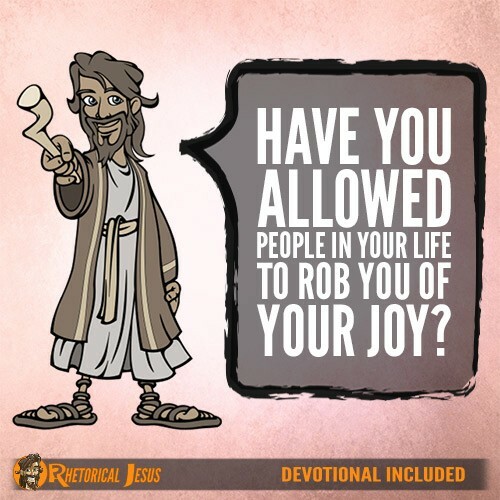 Don’t allow anyone to rob your joy. Fix your eyes on Jesus because it was for the joy that was before Him that He was able to endure the cross, both for us and knowing that soon He would be back again at the right hand of the Father (Heb. 12:2)! 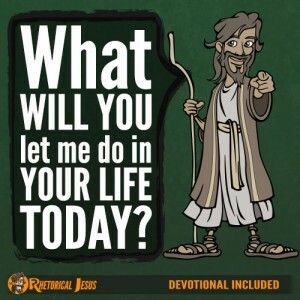 Great God in Heaven, please forgive me when I don’t express my joy for what Jesus did for me. I have every reason to be joyful and shout this to You and to not allow anyone to rob what Jesus bought with His own blood. In Jesus’ name I pray.